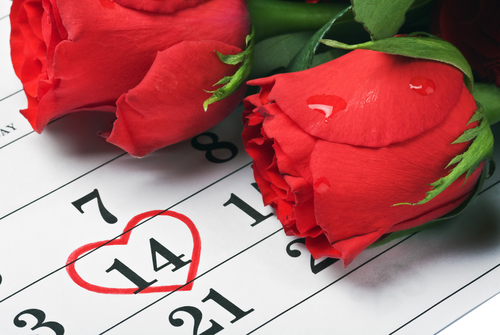 Valentine’s Day is just around the corner on Feb. 14 and no matter how you decide to celebrate, one thing is certainly necessary – you need a beautiful bouquet of roses to give your Valentine. Luckily for Third and Valley residents, there are tons of quality flower shops located in downtown South Orange that can provide a stunning bouquet this holiday. To find out what flower shops to check out before Valentine’s Day rolls around, visit the local flower shops below. Victor’s Florist, located at 128 S Orange Avenue which is half a mile from your Third and Valley apartment, has both classic bouquets of red roses as well as more modern bouquets that can be delivered within South Orange as well as nationally. Besides flowers, Victor’s Florist also offers baskets of flowers and fruit if you want to spice up your Valentine’s Day gift with a little something extra. Contact them by visiting victorsflorist.com or by calling (973) 762-2430. A New Leaf, located at 15 Hoskier Road which is about two miles from your Third and Valley apartment, offers tons of Valentine’s Day products including red rose bouquets, bouquet wraps, flower decorations and accents and much more. This locally owned florist specializes in elegant, modern floral designs. Contact them by visiting anewleafnj.com or by calling (973) 763-5055. Beauties by Battles, located at 360 S Center Street in the City of Orange which is about two and a half miles from your Third and Valley apartment, offers romantic roses, modern arrangement masterpieces as well as winter plants, all of which would be great Valentine’s Day gifts. They deliver to both South Orange as well as nationwide and can be reached by visiting beautiesbybattleflorist.com or by calling (973) 673-3626.